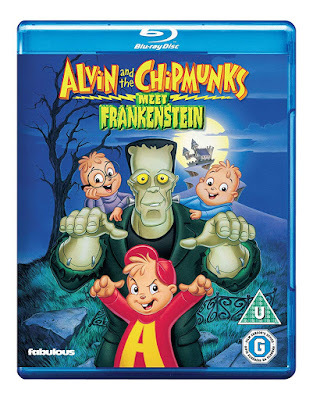 Even more screwed up than The Krankies: Ross Bagadsarian Jr voices Alvin, Simon and Dave Seville. Whilst his wife Janice Karman voices Theodore Seville and The Chipettes - Brittany, Jeanette and Eleanor Miller. Ross Bagdasarian’s father was Ross Bagdasarian Snr who’s stage name was David Seville, the original creator of The Chipmunks. The Chipmunks were developed for a novelty record in 1958 and since then have become a billion dollar franchise with the four recent Alvin and the Chipmunk movies grossing over $650 Million at the worldwide box office. The Chipmunks were nominated for Record of The Year at the first ever Grammys in 1959 alongside Peggy Lee and Frank Sinatra. They won Best Comedy Performance and Best Recording for Children. In 1960 they won Best Album Created for Children. Whilst working as featured performers on a movie studio tour, Alvin and his brothers can’t resist exploring the park’s star attraction Frankenstein’s Castle, which has been taken over by what appears to be the real Dr. Frankenstein and his beloved Monster. 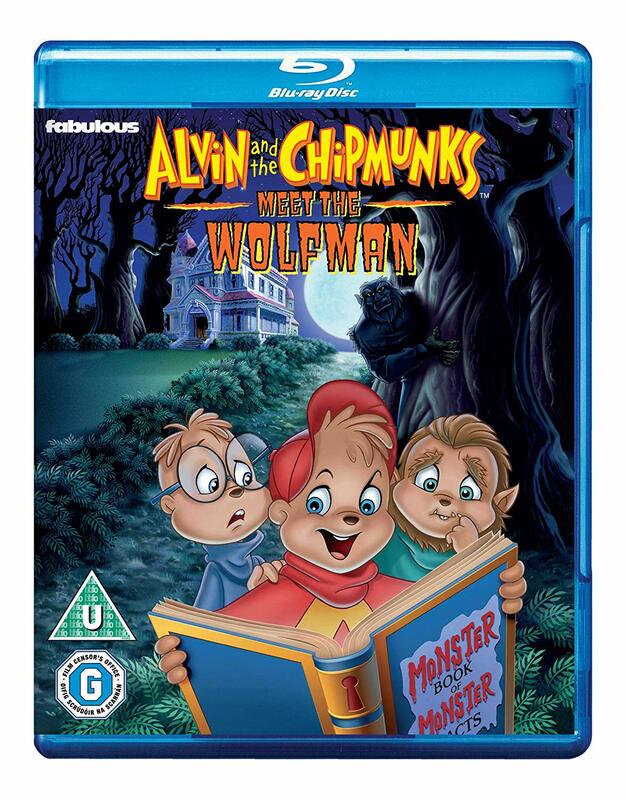 Soon, the Chipmunks and the Monster collide into a wild and wacky laugh fest your kids will want to watch over and over again – whilst you have a lie down in a dark room. Bradley Baker, Mark Kay Bergman, Kevin Michael Richardson. There’s a “howl” lot of laughter in store, because everyone’s favourite mischief makers are back! For the first time on Blu-ray join Alvin, Simon and Theodore in this screamingly funny animated adventure. The Chipmunks began influencing hip hop in the 90s. Leader of the Wu-Tang Clan RZA is credited for bringing chipmunk sampling to hip hop, speeding up King Floyd’s “Don’t Leave Me Lonely” (1971) in the chorus of “For Heavens Sake”.“Chipmunk vocals” have since been used in Jay-Z’s “Hard Knock Life,” Ludacris’ “How Low,” and Akon’s “Lonely” among plenty of other records. entertaining adventure the whole family can really sink their teeth into! Cast: Ross Bagdasarian Jr, Kanice Karman, Elizabeth Daily, Dody Goodman, Maurice LaMarche, Rob Paulsen, Frank Welker, April Winchell. Fabulous Films will release these two titles on to Blu-ray 22nd April 2019.